The Aruba 8400 campus core and aggregation switch series provide a game-changing solution, offering a flexible and innovative approach to dealing with the new application, security and scalability demands of the mobile-cloud and IoT era. Combines a modern, fully programmable OS with carrier-grade hardware, leading performance, and incorporates the industry-first Network Analytics Engine to monitor and troubleshoot network, system, application and security related issues easily. By enabling faster automation and network insights, the operating system reduces the time spent on manual tasks and addresses current and future demands driven by Mobility and IoT. The Aruba 8400 offers industry-leading line rate, low latency, and scalability to create a flexible and innovative approach to deal with the new demands of the mobile-cloud and IoT era. Interact with product animations in this online 3D model using simple gestures to explore the product. 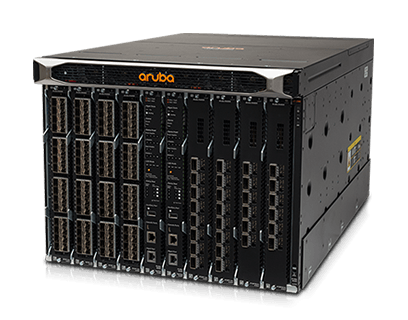 How does Fresno Pacific University Utilize Aruba 8320?